Seema Chishti spells out the alphabet that coined a unique vocabulary for 2015 — and may define the agenda for 2016. Indian Express spells out the alphabet that coined a unique vocabulary for 2015. The big five-letter word, the land of Buddha and Chanakya, which gave 31 MPs to the NDA last year, turned its back on the coalition and rooted for the grand alliance of the ‘Unlikelies’ — Lalu Prasad, Nitish Kumar and the Congress — in the assembly elections. Despite the unprecedented scale of resources thrown in by the BJP president and relentless campaigning by the Prime Minister, Bihar gave the NDA just 56 seats out of 243. It became a metaphor for politics, like Bangalore-d for the IT sector — this year, NDA got Bihar-ed. Just as Indians are said to have perfected the art of the ‘missed call’, telecom operators and the Ministry of Telecom fine-tuned the ‘call-drop’ this year. Maybe, it’s a way of bridging the ‘digital divide’ as everyone says ‘Hello’ much more now. Talk of a penalty has been pushed to a court hearing on January 6 by TRAI. Anyway, people are using the landline and meeting each other much more now. 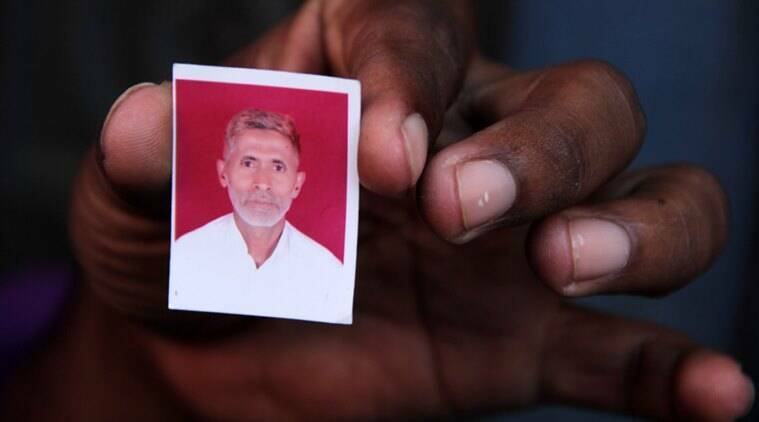 Just a few kilometres outside Delhi, Mohammed Akhlaq was lynched by a mob in Dadri because of rumours that he had killed a cow and consumed beef. The allegations proved baseless. But elements in the BJP tried to make political capital out of it, and the usually communicative Prime Minister took a fortnight to speak on the issue, making the cow a symbol of active Hindutva once again, like the 1960s — as they say, ‘Babri to Dadri’. Again, attempts to raid Kerala House in Delhi for allegedly serving beef backfired. And beef bans by NDA-ruled Maharashtra, Haryana and Rajasthan only ended up incurring nutritional and economic costs. The 40-year mark of the declaration of Emergency led to a recall of old times and the principal opposition was again put on the defensive. One of the founder-members of the BJP who was active during the Emergency, L K Advani, said he feared it could happen again. Five months later, Delhi Chief Minister Arvind Kejriwal declared that an undeclared Emergency was already on, after his Principal Secretary’s office was raided by the CBI. After the NDA came to power, there was a scare among ministers and bureaucrats that they would not be able to jet-set abroad as they have been used to. But then, they saw the PM going on an overdrive with 35 foreign visits, including exciting events such as the gathering of NRIs and PIOs that made for primetime TV back home. Supporters were thrilled but critics asked what all this actually brought to India. A seminal and revered Hindu religious text got labelled by the BJP and friends as the only holy book that should be taught and gifted to foreign leaders. A Haryana minister suggested it should be the “national book”. Gita, also, is the Indian girl who cannot hear or speak and who drifted into Pakistan and was taken care of by the Edhi foundation. Much was made of her return, mirroring a similarly dramatic but converse situation in the Salman Khan-starrer Bajrangi Bhaijaan. Gita, however, remains in a shelter as DNA tests rejected those who had claimed to be her parents. History kept repeating itself as news this year, too. Renaming Aurangzeb Road, remembering Tipu Sultan and Akbar, “finding” River Saraswati, revisiting the role of RSS in the freedom movement, drawing of parallels to the Islamic State by veteran historians like Irfan Habib, arguing for an intelligent view of ancient India by Romila Thapar, and rewriting history books in BJP-run states kept history topical. A word that drew writers, scientists, the RBI governor, film stars, historians, industrialists, painters and sociologists together, as a series of awards were returned and concern expressed over whether society and governments were strategically silent when mobs shouted down minorities. Bollywood actor Anupam Kher argued the opposite vociferously, and rallies and counter-rallies were held. Who would have thought that an Urdu word, which means a manner of speaking or a phrase, would haunt the BJP president and his party? Having promised every Indian Rs 15 lakh from the black money they would retrieve from foreign shores, the BJP tried to explain how metaphorical that was by saying it was a “jumla”. It became a shorthand for the Opposition to tag BJP’s promises as pies in the sky. File Photo of Former Vice-Chancellor of Hampi University, MM Kalburgi who was shot dead at his Kalyan Nagar residence by unidentified gunmen. Prof M M Kalburgi, a feisty Kannada scholar and rationalist was murdered in north Karnataka by two men on a bike, in circumstances eerily similar to how Communist leader Govind Pansare and rationalist Narendra Dabholkar were killed earlier. Sluggish investigation and a fear that right-wing Hindutva groups were being allowed to end arguments with bullets became a storm that put even the Centre on the defensive. ‘Kalburgi’ became a name that was talked of in editorials abroad, too. No one has been charged with his murder, yet. The Ls that plagued this government this year were no “LOL” matter. This is the year that saw the first ambitious legal attempt to challenge the way judges are appointed being upended, with judges wresting back the initiative. The land law was challenged and became the first Opposition victory of sorts as despite three ordinances, the government rolled back its decision of January 1 to amend the law. Nestle India has resumed production of Maggi noodles at all five facilities in India. Maggi noodles are not exactly dal-chawal but have been Nestle’s most Indian of products for decades. Maggi was pulled from the shelves once a food lab said it had too much lead. Other checks and a court order later, it climbed back onto the shelves, but not before finding stiff competition from Baba Ramdev’s Atta noodles. This competition is set to go well beyond two minutes. In August, the Centre claimed that it had an “accord” in Nagaland with India’s oldest insurgents. A big announcement and a photo-op in Naga-wear followed. The issue continued to confound, though. It was later said that it was a “framework” and not an “accord”. The interlocutor R N Ravi said neighbouring states would not be affected. But with elections in Assam only a few months away, voters are wary about what it could mean for them. It was an odd year as AAP decided to get even with the BJP in Delhi, first by beating all odds to win the state assembly with an unprecedented margin and ending the year by launching a massive corruption campaign against Arun Jaitley, the effective No 2 at the Centre. 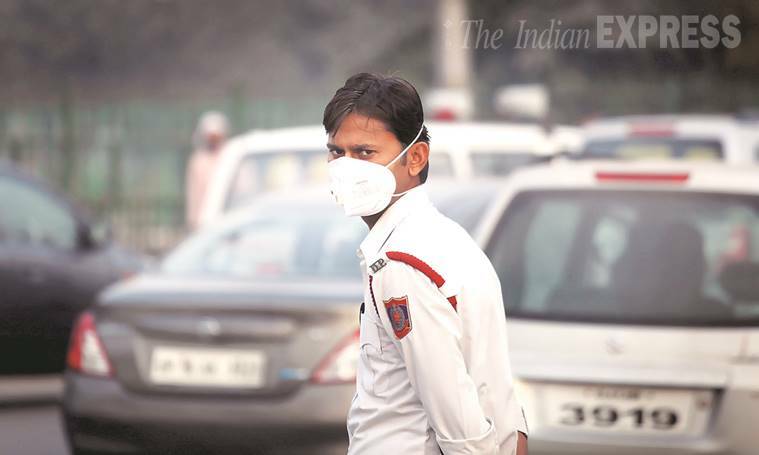 AAP also ended the year with an odd-even car policy to fight pollution that has made Delhi the world’s worst city in terms of air quality. Going to Pakistan turned from cuss to cool. The turnaround was dizzying. The year ended with several high-profile Indians going to Pakistan. Prime Minister Narendra Modi himself stopped over for tea, after Foreign Minister Sushma Swaraj. Earlier, talks planned in August didn’t happen as India decided that the Pakistanis could not talk to the Hurriyat. Ghulam Ali couldn’t sing, Sudheendra Kulkarni was painted black for releasing a book authored by a former foreign minister. The two PMs then met in Paris, leading to full-fledged official talks in Bangkok before the Foreign Minister suddenly found herself in Islamabad. Quota was very much in the news this year. Gujarat’s Patels, considered prosperous, suddenly decided they wanted a share in quotas and to be recognised as backward. The RSS chief then said in an interview that he wanted the quota system “reviewed”, leading to an OBC backlash. In December, he said quotas must stay as long as there is backwardness in the country. Focus on bread-and-butter issues, such as employment and the economy’s ability to generate jobs which were a key part of the BJP’s promise of 25 million new jobs each year? Or focus on the Ram mandir? This seems to be the dilemma the BJP faces. The year ended on a not-so-rosy note as far as job creation went, but stones from BJP states to construct a temple reached Ayodhya. Ministers, BJP MPs and the VHP continue to keep the Ram temple fire burning, especially with the UP elections nearing. Issues raised by the self-taught lawyer and mercurial BJP leader took centre-stage this year. His petition to get Sonia Gandhi and Rahul Gandhi in court for The National Herald case turned out to be a dramatic event in December. Swamy’s petition regarding the juvenile arrested in the gangrape case of December 2012 helped push the issue to the headlines and put pressure on Parliament, which voted to amend the Juvenile Justice Bill. Last heard, he was helping dissident MP Kirti Azad draft a reply to the BJP leadership on his suspension. The marshy lowlands at the foothills of the Himalayas became sticky ground this year, after Nepal agreed on a new Constitution as a secular republic. Some Madhesi groups disagreed, demanding higher representation in the state. This led to an economic blockade at the India border as the crisis continued to brew. Nepal claims India has enforced the “blockade” to pressurise it to amend the Constitution. Officially, India maintains that there is no blockade. Gajendra Chauhan’s appointment as head of the Film and Television Institute of India triggered a strike by students that lasted much longer than the BJP would have liked, slowly drawing in the film-theatre fraternity as well. The appointment of Pahlaj Nihalani as the censor board chief kept the focus firmly on what not to show, rather than how best to certify films. While critics slammed the morality regime, the censor board maintained that by keeping the kisses of James Bond and Monica Belucci short, it was about not shaking or stirring India much. The Opposition has alleged that the Centre is using its agencies to intimidate opponents, with CBI and ED operating selectively. There was no action against the governments of Rajasthan and Madhya Pradesh which faced charges of impropriety and wrongdoing (read: Lalit Modi, Vyapam). But Congress leaders in Goa were pursued, the Congress CM in Himachal was raided on the morning of his daughter’s wedding, and an FIR was registered against the former Haryana CM. With the National Herald case also heating up, the Congress party insists that V means vendetta. Wapsi or return remained an important word. It started with ghar wapsi, when Hindu revivalists insisted on organising “reverse conversions”. It then became “award wapsi” triggered by Hindi writer Uday Prakash, who returned his Sahitya Akademi award in protest against what he described as an atmosphere of intolerance – more than 30 others followed. With the PM being abroad so often, his wapsi, too, was a cause for celebration, cheer and, sometimes, memes. Last year, Christmas was more about children writing Good Governance essays to mark former PM AB Vajpayee’s birthday rather than that of Jesus Christ. This year, it was much more festive, like Christmas should be, and other birthdays received far more attention, such as Nawaz Sharif’s. It also happens to be Muhammad Ali Jinnah’s birthday. The hanging of Yakub Memon in the 1993 Mumbai blasts case was a point of much legal and political activity. There was a petition signed by eminent citizens, jurists, opposition MPs, and even Ram Jethmalani and Shatrughan Sinha weighing for a reconsideration. Anti-death penalty activists also joined in, even though there was a contention that there was a legal case, too. A former governor wrote to the President on the eve of the execution, prompting a 3-am hearing by Supreme Court. After the event, the Registrar of the Supreme Court quit, keeping death penalty in focus. Is the number of black-clad commandos guarding your life a prestige issue or is it a sign that the more insecure your life is, the more precious you are? Z-plus security, the highest form, was accorded to RSS chief Mohan Bhagwat this year. Central security was also extended to BJP MP Adityanath, MLA Suresh Rana and Sangeet Som who is an accused in the Muzaffarnagar riots and is out on bail. On the other side, Robert Vadra lost some privileges as spouse of an SPG-protectee Priyanka Gandhi-Vadra.